ERC ETH 112 S module converts Ethernet 10/100 BASE-T (Standards IEEE 802.3 and IEEE 802.3u) to optical fiber 100 BASE-FX. Each module has 1 optical port and 2 electrical ports. The module is designed with non blocking architecture to insure a permanent 100 Mbps bandwidth. Thanks to integrated switch it is not necessary to use the same network configuration at each end of the optical link. Theses modules accommodates with a wide range of optical network, it can operate on 1 singlemode fiber or 2 multimode or singlemode fibre. An SFP model is also available. 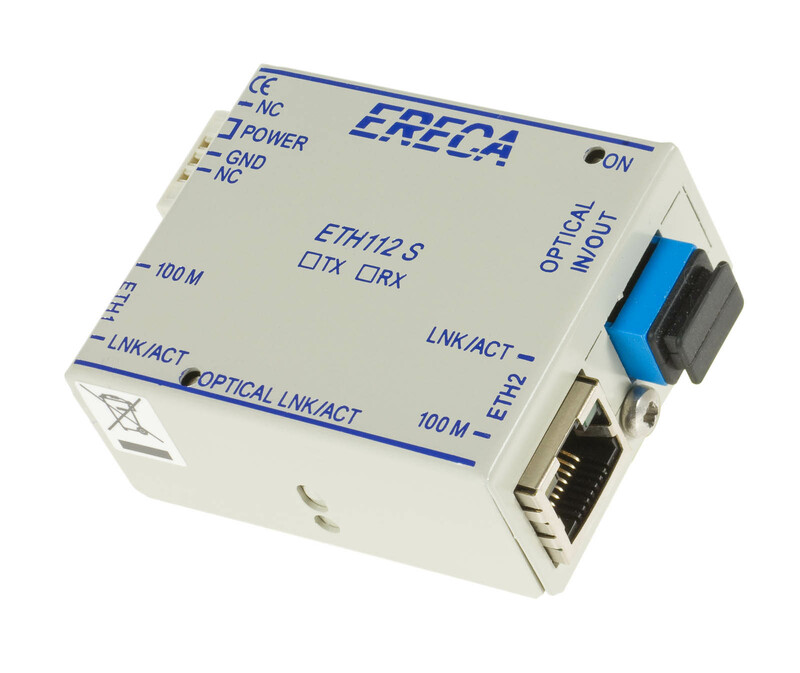 The ERC ETH 112 modules are compatible with the other modules of the ERC ETH family.